Hey Everybody, Hope all’s well!! Being a mummy my days are often spent in play gyms, mother & toddler groups and parks (when we have the weather!) Today we were at Monkey Music, I chased after Neo and fought with him over the instruments, but a good time was once again, had by all. So pretty and Practical is my aim, being a mummy’s the game. 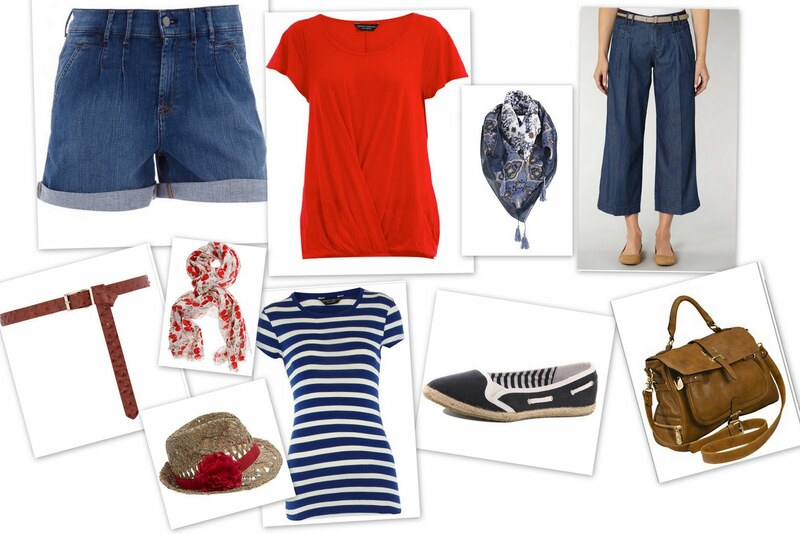 Here’s my pretty & practical at the park outfit! Jean Shorts (jorts): Practical and nice and easy, 2 lengths for your preference! Stripe Tee: Never out of fashion, always looks good. Flat Espadrilles: Super comfy, super practical, super cute! Scarf: Pretty, adds interest to an outfit, and often used in my case as a sling, cape, bandage, blanket or sail. Very handy item, who would of thought! Hat: Greasy hair? Forget about it!! Belt: No one wants to see this full moon any time soon! Well hope you like my park picks, do you have practical pretty items? Next Post Grey Weather, Grey Mood! Such a cute nautical theme you got going! loveee the long shorts! so cute!